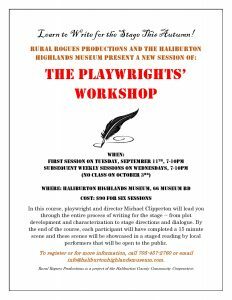 We’re delighted to announce that our playwrights’ course, presented in partnership with Rural Rogues Productions will be back for another session this autumn! 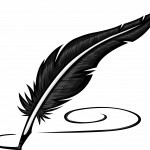 This is an amazing opportunity to learn the skills you need to write for the stage. Whether you already have a story you know you’d love to tell or you’re just excited about exploring possibilities, this course is for you! In the last session we offered, participants wrote on a wide range of topics. Some pieces were comedies, some were dramas, some were modern and some historical. All the of the pieces were given a staged reading and then fully staged as part of Rural Rogues’ summer 2018 production. This autumn’s course kicks off on September 11th – check out the poster for more details! Spring is always such an exciting time at the museum! We’re counting down the days until our historic buildings re-open for the summer season and we’re busy making plans for great summer programs! This summer, Heritage Happenings, our super popular kids’ program (now in its fifth year!) will be having a special focus – discovering the decades! We’ll be focusing in on the social history of the decades of the twentieth century and showcasing crafts, toys, fashion, music and films that were popular, as well as, of course, larger historical events. This year is also special because the museum is marking its 50th birthday – stay tuned for details of an amazing 60’s themed birthday party this summer! 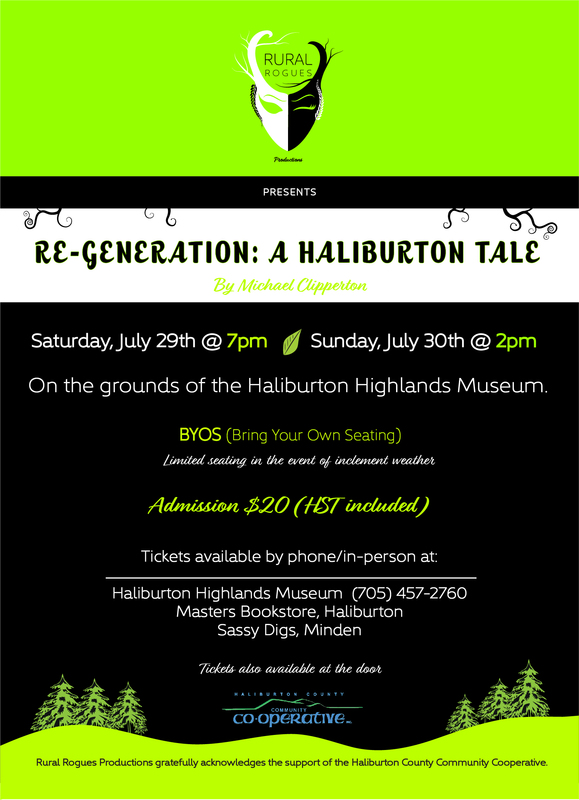 We’ll also have theatre in partnership with Rural Rogues Productions, the return of Jazz at the Museum and Lost Haliburton Boat Tours, as well as some new and fun programs with other community partners. Stay tuned for details in the coming weeks – there’s always something fun going on at the museum! 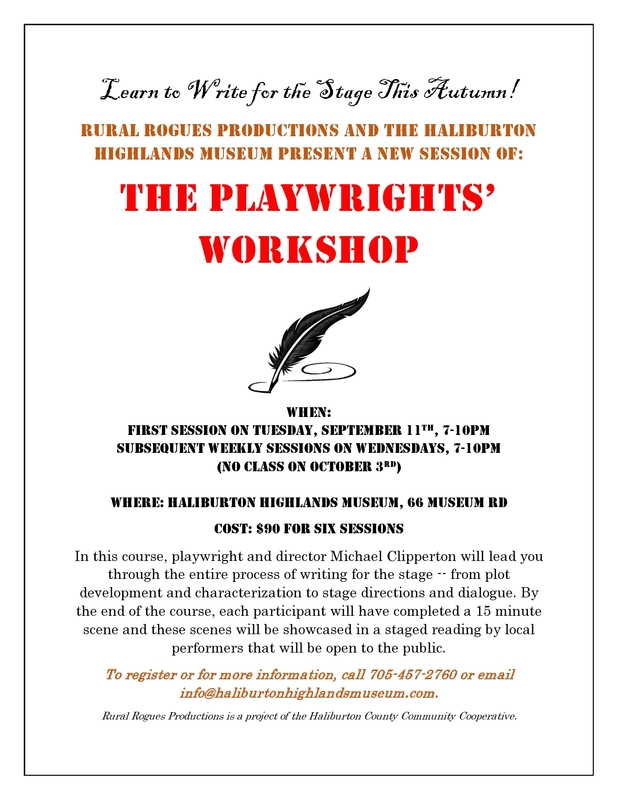 Last month, in partnership with Rural Rogues Productions, we embarked on an exciting new program – our first ever playwrights’ workshop! Over the course of six sessions, emerging playwrights are learning all the skills need to tell stories for the stage from local playwright and director Michael Clipperton. 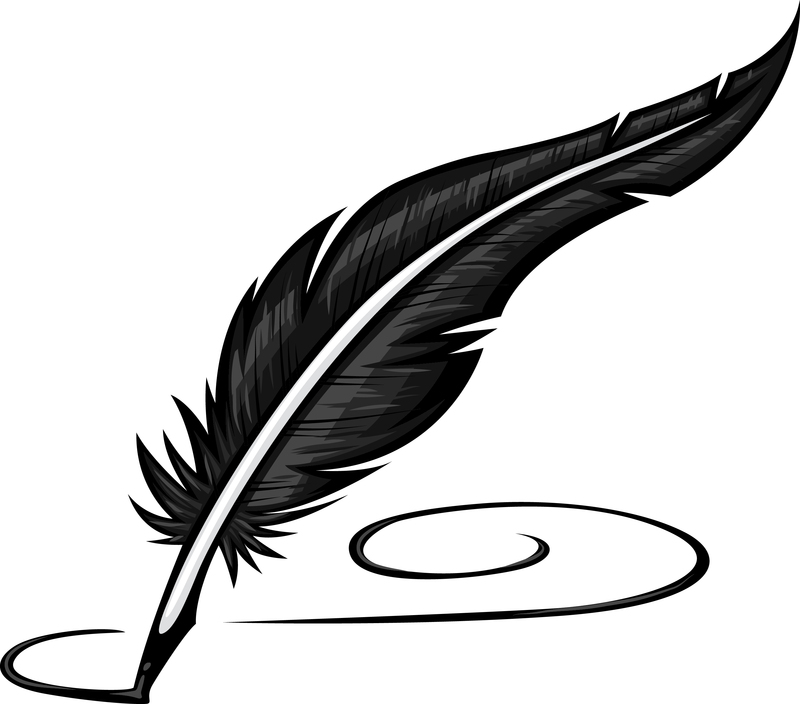 A wide range of pieces are being crafted – comedy and drama, modern and historical. By the end of the course, each participant will have crafted a 15 minute scene for three to five characters and they’d love to share their work with you! 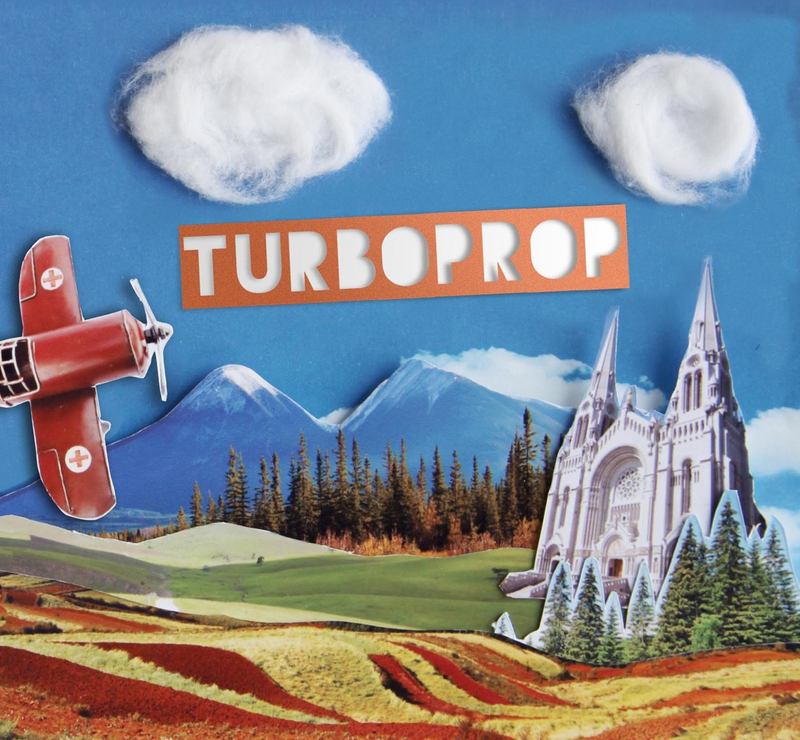 Mark your calendar for March 6th at 7pm when local performers, both emerging and established will come together to present a staged reading of these scenes – just think, you’ll be able to say you knew these playwrights before they became famous! Admission is by donation for this fantastic evening of entertainment! Get in the Holiday Spirit at the Museum! 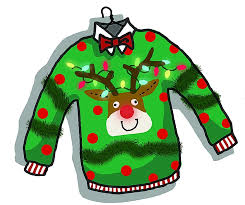 The annual Ugly Christmas Sweater Run/Walk presented by Dysart Recreation is returning for its fifth year on November 26th and the museum is where all the fun begins! Come early to put some finishing touches on your sweater before taking a jaunt around Head Lake starting at 11am! 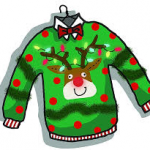 There are prizes to be won for the most creative sweaters at this all ages event! Also, this year, to mark the fifth anniversary of the event, there will also be a scavenger hunt to add to the fun on the trail! After the run, join us back at the museum for an afternoon of Nostalgic Christmas celebrations with refreshments, crafts, kids’ activities and fun for the whole family! The event is free, but donations to the Elf Drive in support of our local schools are gratefully accepted. This is the perfect event to get you in the holiday spirit – don’t miss it! On July 29th and 30th, we invite you join us for a very special theatre event! 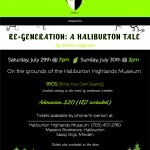 Presented in partnership with Rural Rogues Productions, Re-Generation: A Haliburton Tale tells the story of 150 years of Haliburton and Canada’s history as seen through the eyes of one very special family. The play will travel to four different locations around the museum’s grounds, providing a unique theatre experience. Tickets are just $20 and they’re available from the museum as well as other great locations around the County. Click on the poster above for more details! 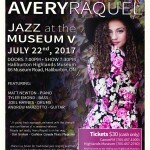 Mark Your Calendar for Jazz at the Museum V featuring Avery Raquel! 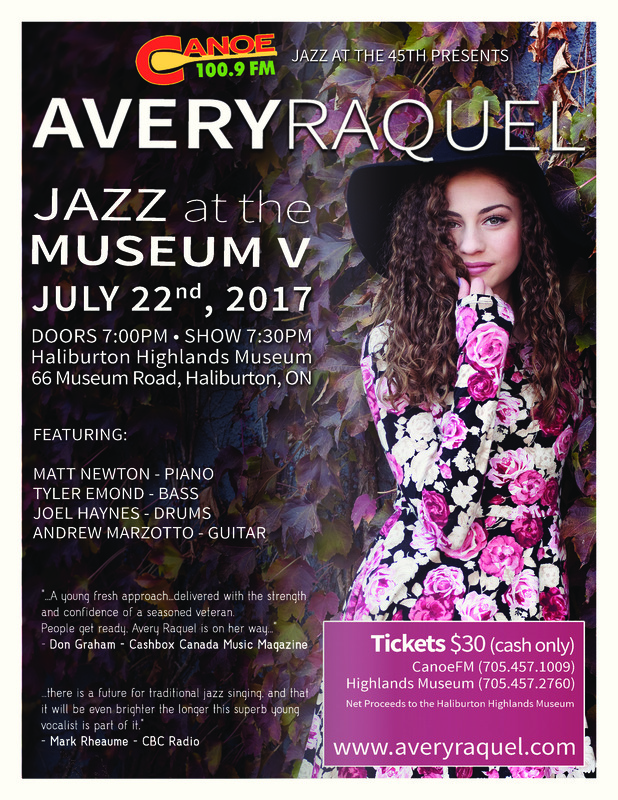 This summer, we are delighted to welcome Avery Raquel to the museum for our fifth Jazz at the Museum show! This incredibly talented songstress will take the stage at the museum on Saturday, July 22nd at 7:30pm. Spots are limited, so make sure to reserve your tickets today – tickets are $30.00 and are available by contacting the museum or Canoe FM Radio. For further details, please click on the poster above. Due to a washout on Bayshore Road earlier this month, access to the museum is slightly changed – we can now be accessed via Industrial Park Road. From Industrial Park Road, make a left hand turn onto College Drive and then follow that road all the way up to the Haliburton School of Art and Design. You then have the option of parking at the college and walking through the park (maybe checking out the Haliburton Sculpture Forest on the way!) or you can actually drive right through the park to the museum (the gates have been opened on either side). Whichever option you use, please keep your eyes open for both pedestrians and vehicles in the park. We’ll post here as soon as Bayshore Road re-opens. We thank you for your understanding and look forward to welcoming you soon! Get Ready to Party Like It’s 1867! 2017 marks an incredibly important year for Canada as we mark the country’s sesquicentennial, but it is also an important local anniversary, as the year marks 150 years since the incorporation of Dysart et al, our township. 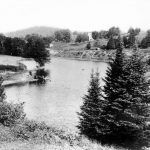 In fact, the township was established almost six months prior to Confederation with the local Council’s first meeting being held on January 7th, 1867. 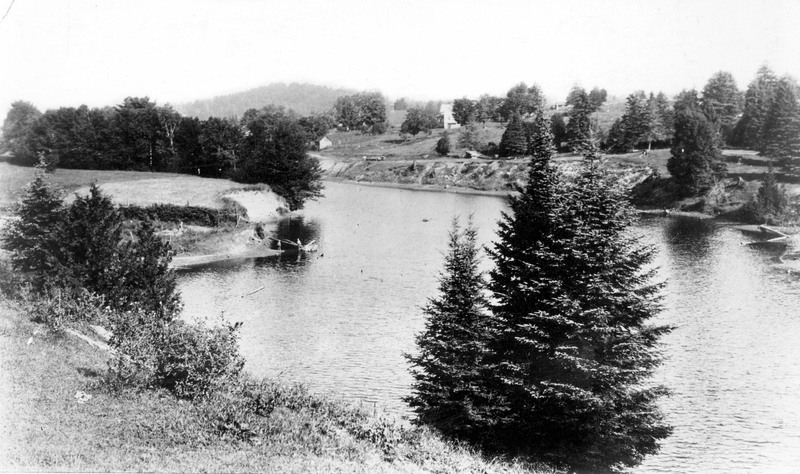 By this point, the village of Haliburton was starting to become established, with the settlers who had been lured by the promise of good agricultural land by the Canadian Land and Emigration Company having carved out their new homes and more settlers arriving all the time. Throughout 2017, the Municipality of Dysart et al will be celebrating this year’s important birthday with a series of celebrations, kicking off with a party in and around the AJ LaRue Arena on January 7th, starting at 4pm and carrying on into the evening. Join us for outdoor games, local food and drink, a trivia night, a fire and light show, outdoor games, a free public skate and so much more – we hope to see you there! We invite you to spring at the museum this March Break! Maple syrup and maple sugar we incredibly important sweeteners for early settlers to Haliburton because the white and even brown sugars that are so commonly used today had to be imported from tropical climates which, with Victorian transportation, made them rather pricey. Maple products, by contrast, were fairly commonplace – in fact, in the Haliburton lumber camps, corn syrup was a much more coveted sweetener! That said, maple syrup is undoubtedly a labour of love as it takes 40 litres of sap to produce a mere litre of syrup! Every year we tap approximately 25 of our maple trees on the property and make syrup just as the settlers would have in huge metal sap kettle over an open fire. We’ll be open every day of March Break for you to check out the process (and taste the results!) as well as enjoying kids’ crafts, other tasty treats and fun contests. On the Tuesday, Thursday and Friday of the break, we’ll also have other extra special kids’ programs – check out our event page for more details!